Want us to build your game with a real-life playground experience like DIE GARTEN TULLN? Simply an idea to build out the game with a pinch of Pokemon Go has made our developers bring something new with a twisted gameplay. 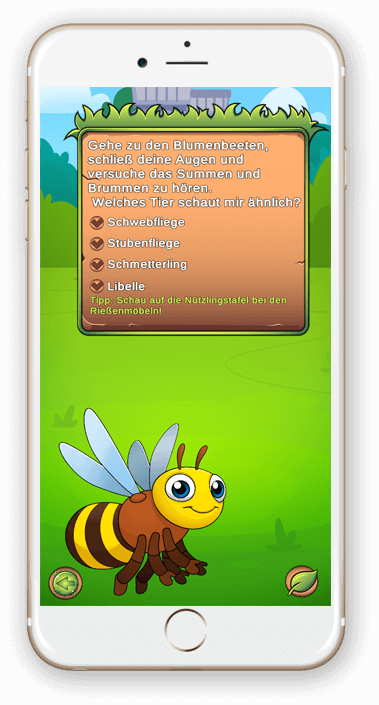 A client from Austria hired our services to create a stunning game with cutting-edge graphics & as a result, we developed DIE GARTEN TULLN. Perfectly crafted for the whole family, this real-life adventure game lets you explore the grounds of GARTEN TULLN. What Makes DIE GARTEN TULLN Special? 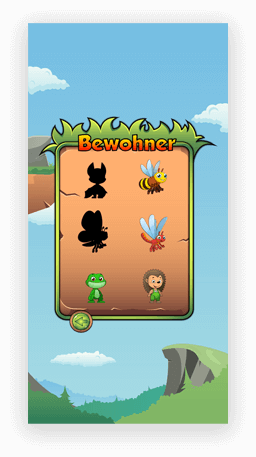 With all creative possibilities, the game is specially developed for the players in German. 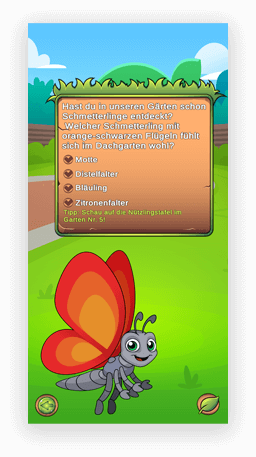 Aiming to add features to DIE GARTEN TULLN, we keep the gameplay simple but, attractive. Every element of the game be it a Graphics, Adventure & Sound Effects, everything is impressive & offers a delightful experience to the player. 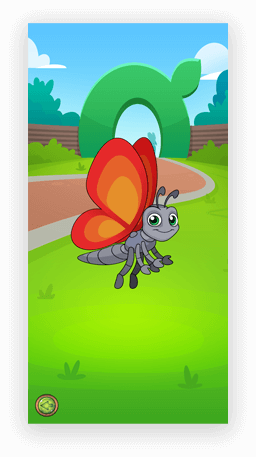 The game enables the player to capture animals all around the garden with a one-touch. 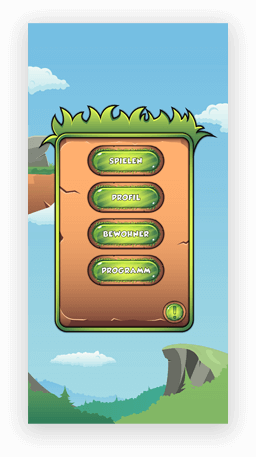 DIE GARTEN TULLN featuring smooth gameplay, challenging levels & intuitive user interface to experience the gameplay like never before. 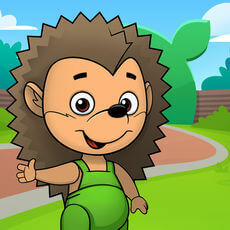 The game involves a beautiful character that takes you to the grounds to discover a variety of animals. 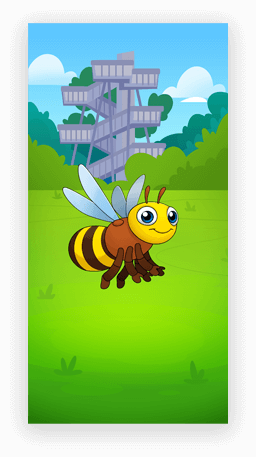 The location-based game brings you closer to the animals & helps you collect more diamonds. 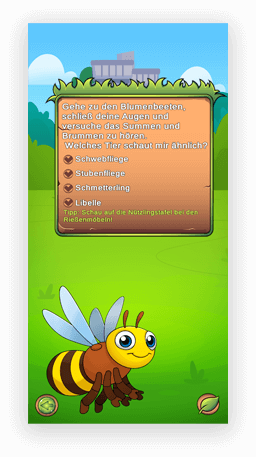 Every time you collect an animal, a question will pop up & a right answer will help you get diamonds as rewards. 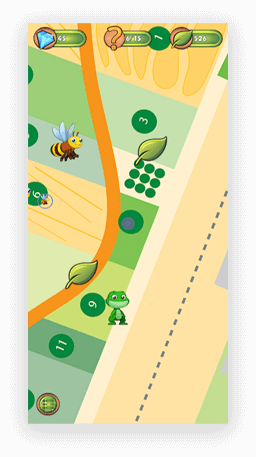 The leaves in DIE GARTEN TULLN can be used as a bribe & at least 4 leaves are required to unlock the answers to move to the next level. A total number of diamonds in your collection are the signs your intelligence. 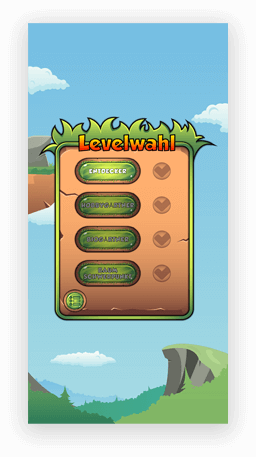 On your interactive scavenger hunt, the degree of difficulty varies from level to level.